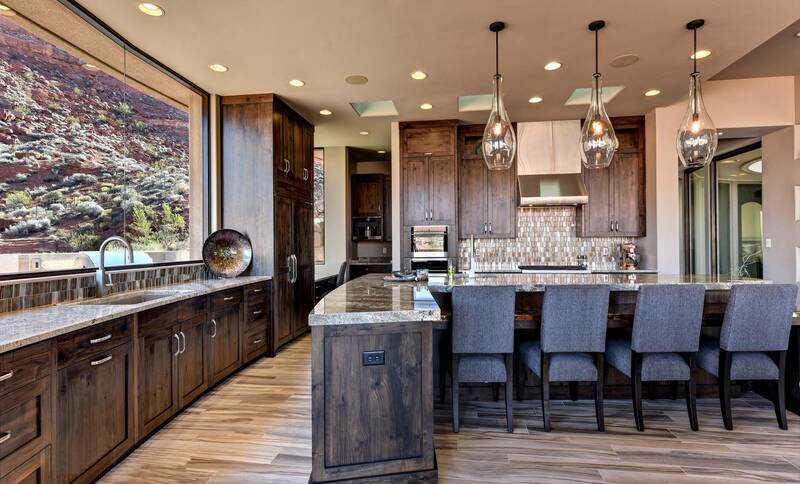 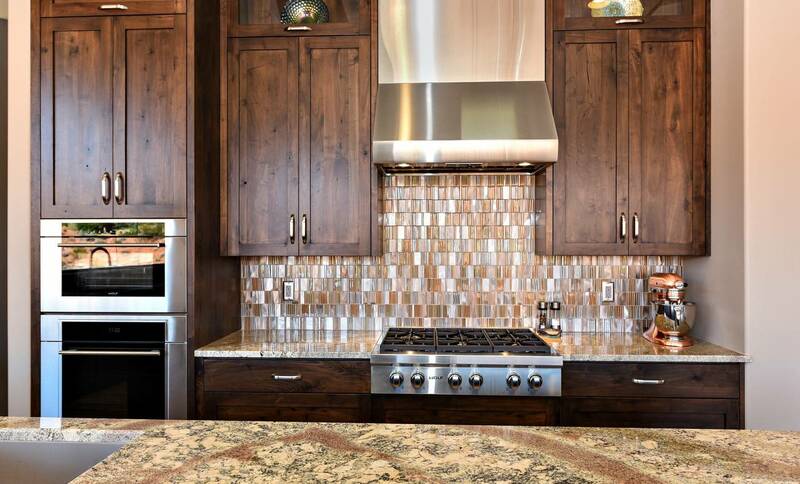 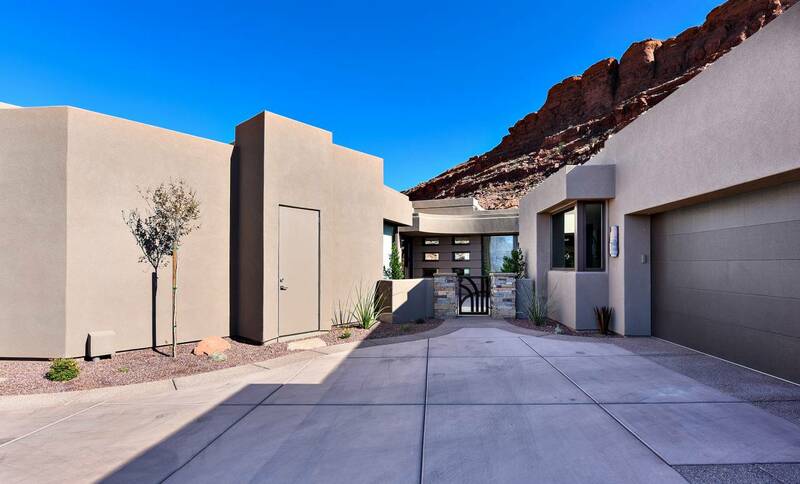 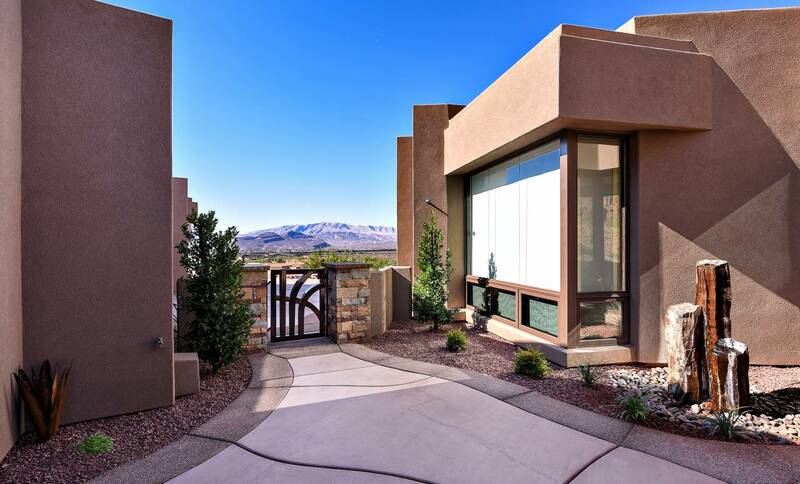 4,200 sqft., 3 beds, 2.5 baths, outdoor shower, built in 2014, 2 car garage. 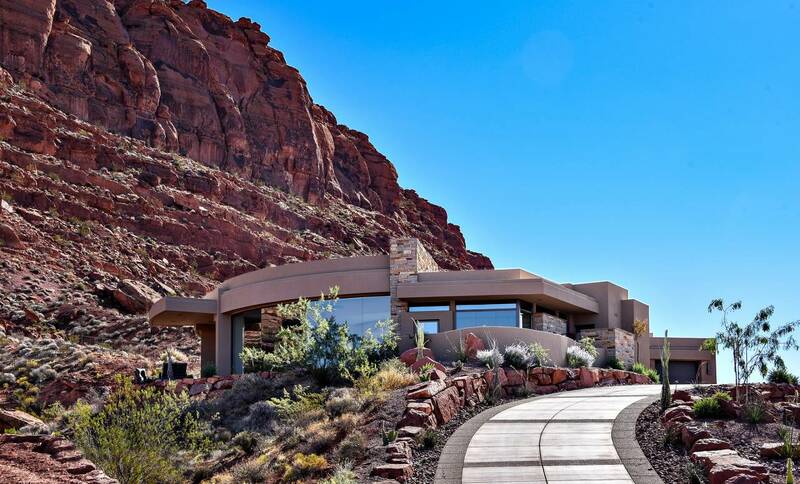 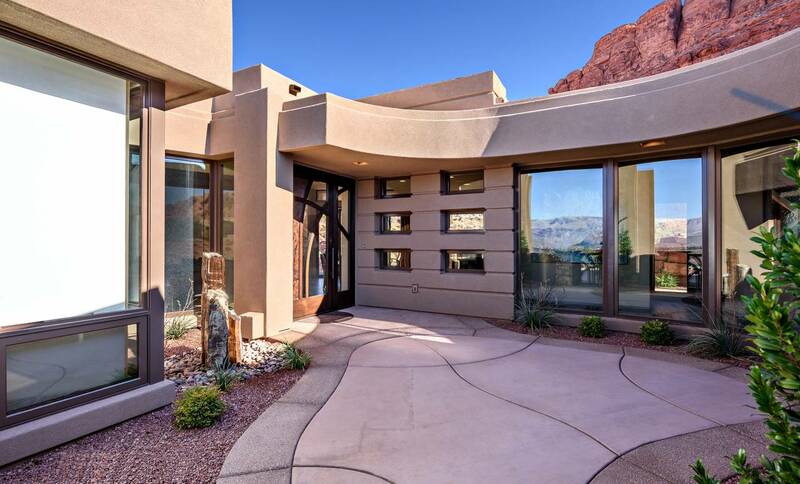 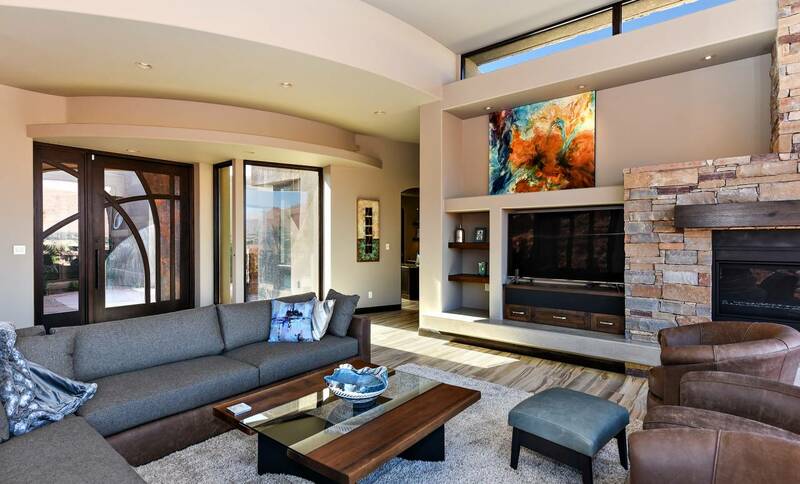 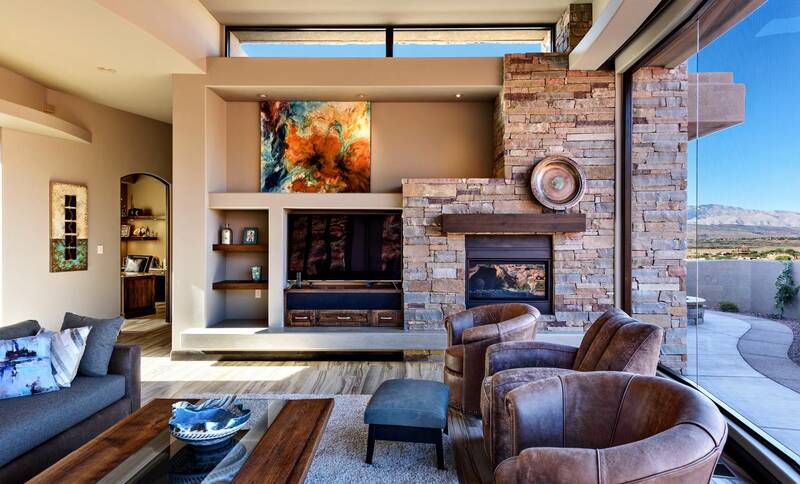 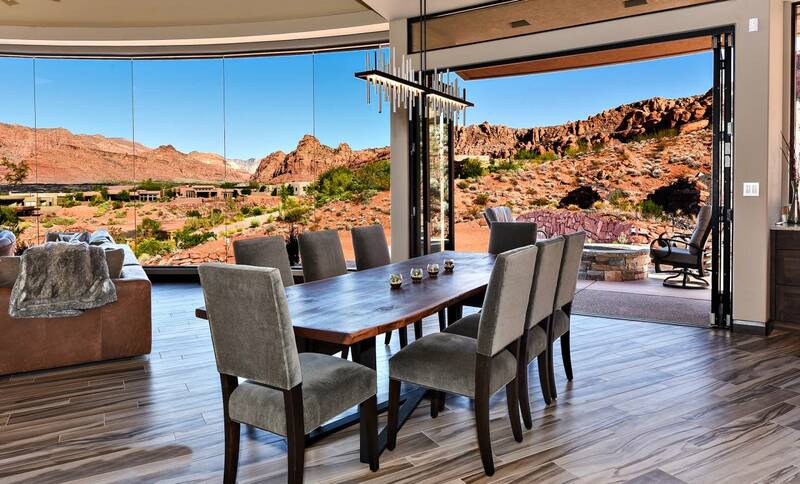 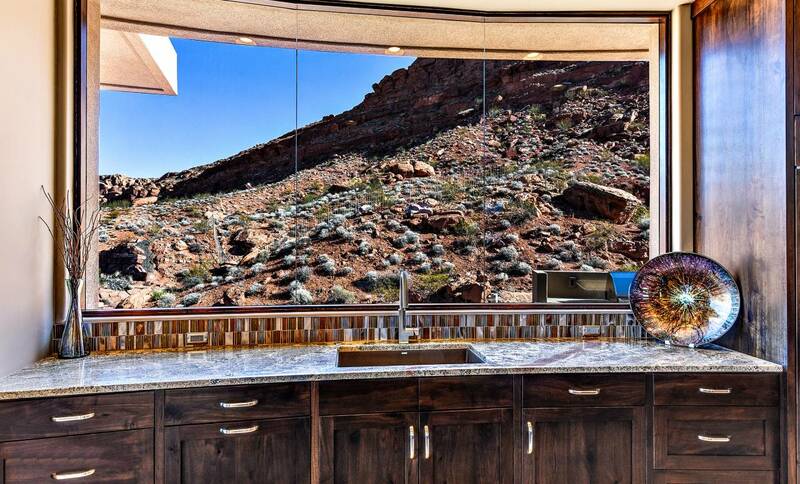 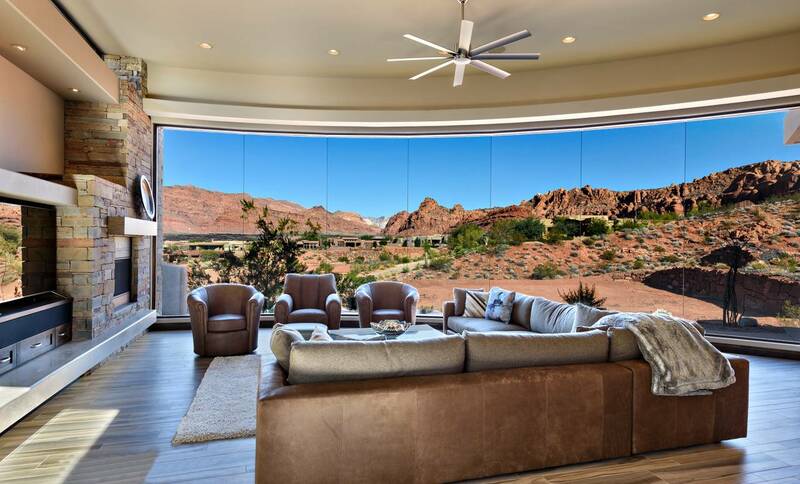 Panoramic vistas of red rocks and black lava flows from the seamless glass living/dining room window – a showstopping floor-to-ceiling semi-circular glass wall. 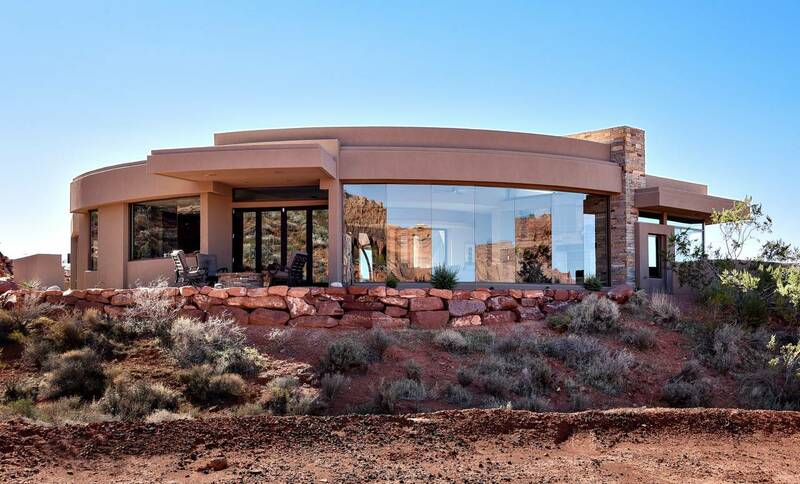 This luxury property was built with water conservation in mind with custom-engineered water drainage. 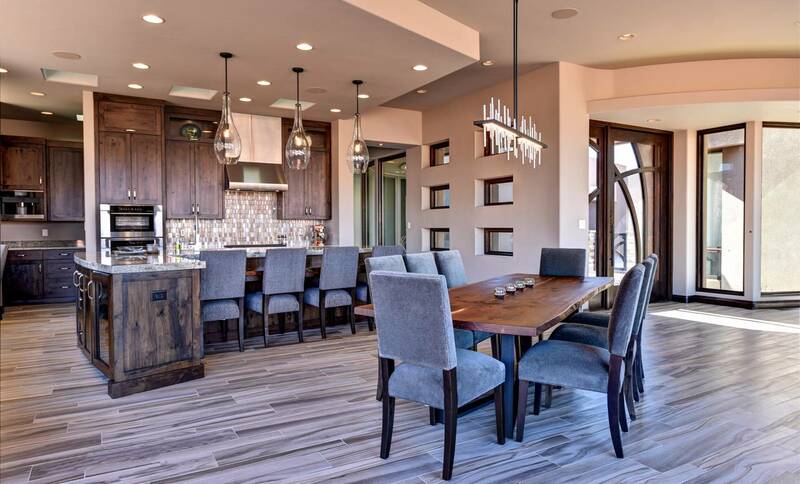 Beautiful plank wood-look tile flooring, unique custom arched interior doors and custom designed and fabricated front door. 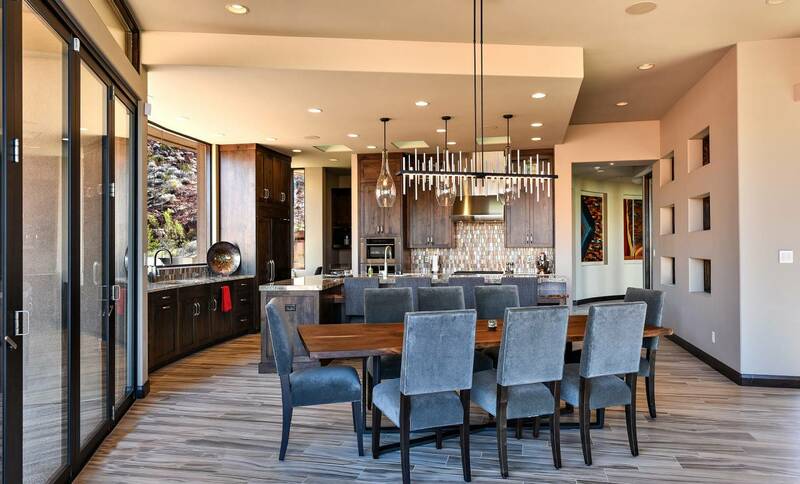 The home has completely unique copper fixtures and artwork throughout the home by Coppertops. 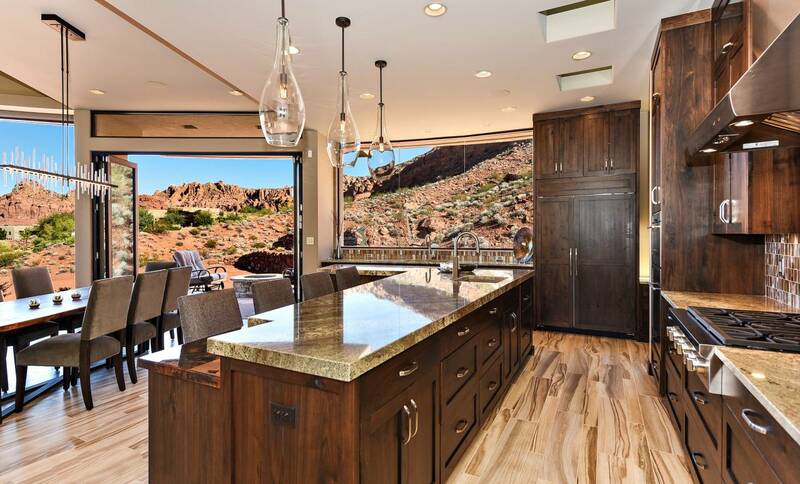 A luxurious indoor and outdoor master shower and energy efficient transom windows.